Kwesé iflix last week launched a massive million-dollar Promotion intended to reward users of the popular sports and entertainment mobile service. The promotion presents Kwesé iflix users with the chance to win 12 brand new vehicles, tablets, mobile phones, and guaranteed daily prizes for every user. Speaking a week after the launch of the promotion, Econet Wireless Zimbabwe Chief Operating Officer, Mr Fayaz King, said the promotion – one of the biggest ever to hit the local market – was designed in such a way that everyone is a winner. “As we come out of a particularly cold winter in Zimbabwe, we are excited to celebrate the spring time with our customers through the launch of the Kwesé iflix One Million Dollar Promotion,” Mr King said. “What gives me great joy about this promotion is that absolutely everyone is guaranteed to win something,” he said. Mr King said the promotion, which was now well and truly underway following its launch last week, had already sparked intense interest from the public. “While its still very much early days, we are extremely delighted by the market response to the million dollar promotion and wish all participants the best as they enjoy over 3000 quality content programmes,” he said, going on the reiterate how the public could take part in the promotion. “And that’s not all,” said the executive. “Our customers will be even more excited to know that over and above the guaranteed instant prizes, for every Kwese iflix bundle they purchase, they will be entitled to enter into weekly and monthly draws, in which they stand the chance to win hundreds of prizes, ranging from 12 brand new vehicles, mobile phones and tablets, Kwese Play Units, Flat Screen TVs and more,” Mr King said, adding that customers should watch the Press for details on the weekly draws that would be starting this weekend. Kwesé iflix – a joint venture between Econet Media and iflix – was launched in June of this year – and offers a digital entertainment platform that brings over 3000 live and On-Demand content programmes. The service, which is available on a free mobile app on the Apple Store and on Google Play, offers users the choice of a vast array of rich and diverse content, as well as the convenience of viewing it wherever and whenever they want to. “We are talking over 3000 quality entertainment and sports programmes – the ultimate entertainment experience – wherever and whenever you need it, plus the opportunity to win every time you make a purchase, and the very real chance to possibly drive away in a brand new vehicle,” said Mr King. 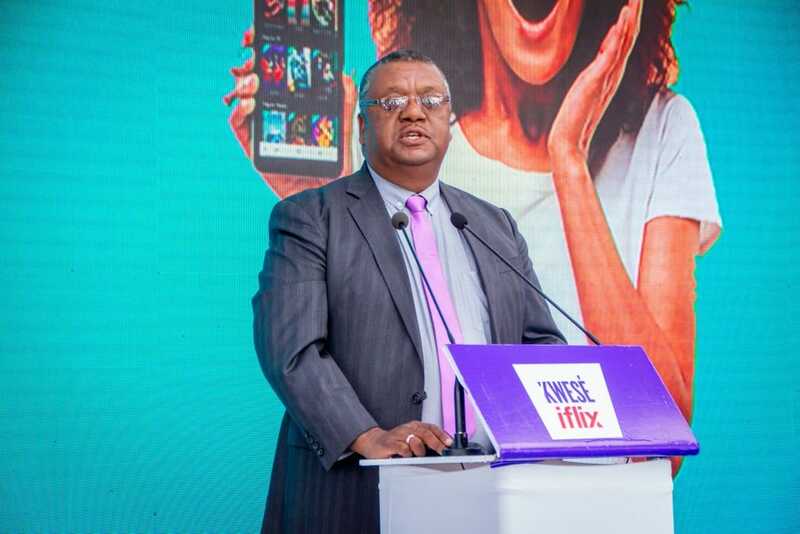 Besides offering the best international, regional and local content programmes especially targeted for the African audience, Kwesé iflix recently brought live coverage of all the 2018 FIFA World Cup football matches played in Russia in July, which Econet Wireless Zimbabwe CEO Mr Douglas Mboweni last week said had helped push Kwese Iflix subscription accounts to over 1.2 million over the past three months. Mr King said the Kwesé iflix Million Dollar Promotion would run for three months, with weekly and monthly grand draws held in every province. “To ensure that everyone wins big, we will be holding monthly draws in each one of our 8 commercial regions that cover all the geographical provinces of the country,” he said. Econet Wireless has the widest data coverage, something certain to help its customers around the country as they bid to win big, and make it a warm spring of great fun, entertainment, and prizes galore.